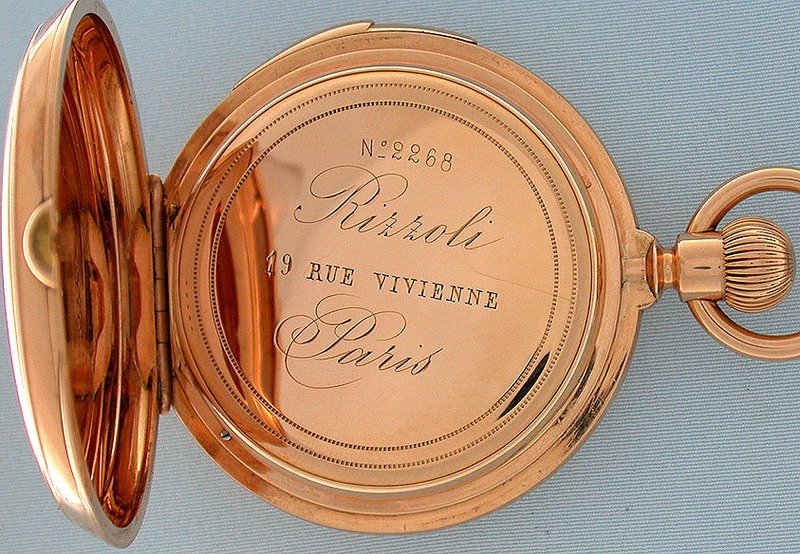 Fine French 18K pink gold perpetual calendar quarter hour repeater antique pocket watch attributed to Poitevin, circa 1880. 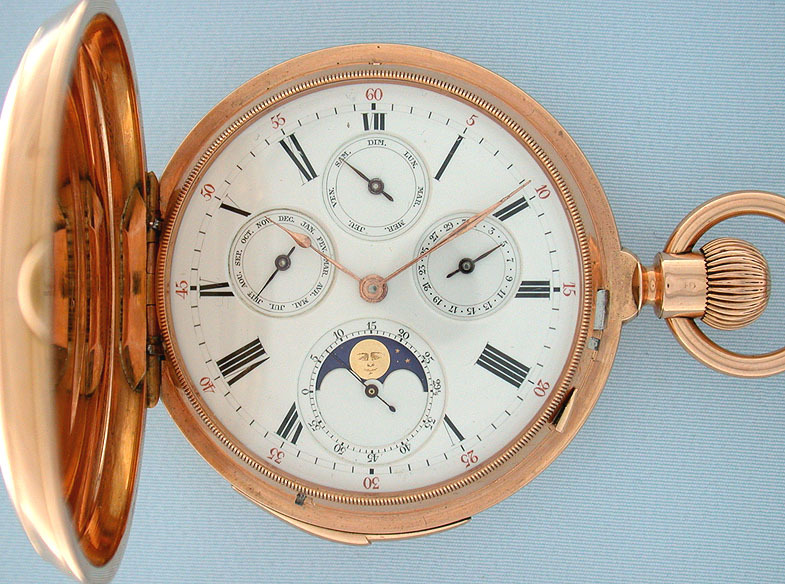 Fine white enamel dial (clean hairlines) with gold and black hands and indications for day, date, and month and aperture for phases of the moon. Substantial plain polish hunting case with slide in the band to activate the repeater. 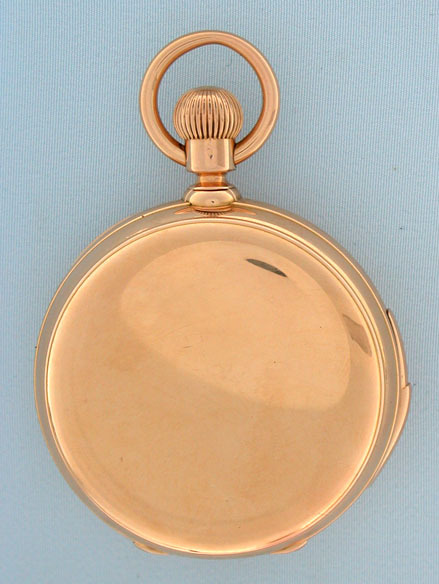 Frosted gilt 23 jewel movement. 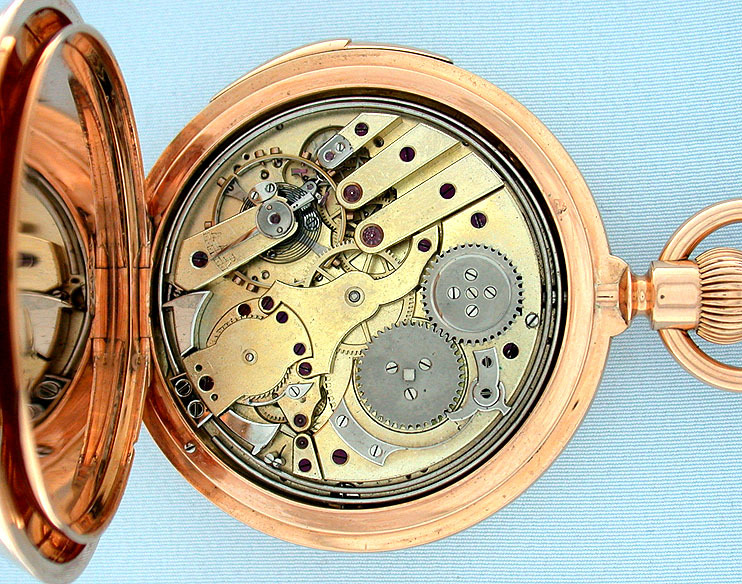 Unlike simple calendar watches, this mechanism "knows" the number of days in each month and also accounts for leap year. When activated, this watch chimes the time using different chime tones to designate the hours and quarter hours with loud clear tones.